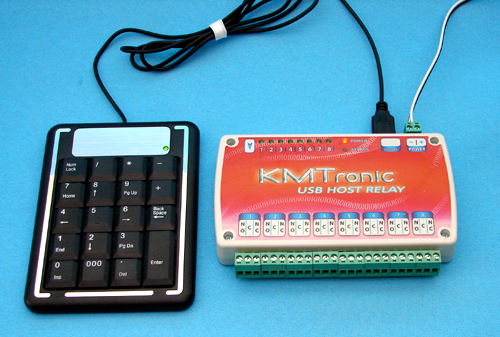 Example control relays using USB Keyboard. 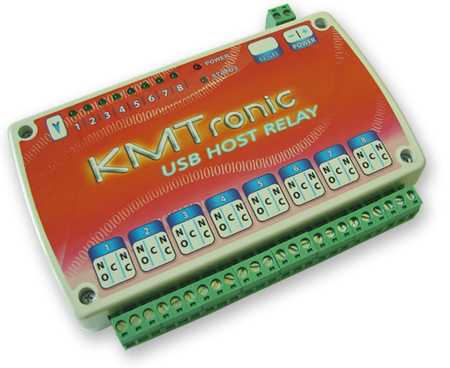 For project you need USB Host Relay board, 12VDC power and USB Keyboard. After upload sketch when you press key '8' first relay turn ON, when press key '2' turn OFF. 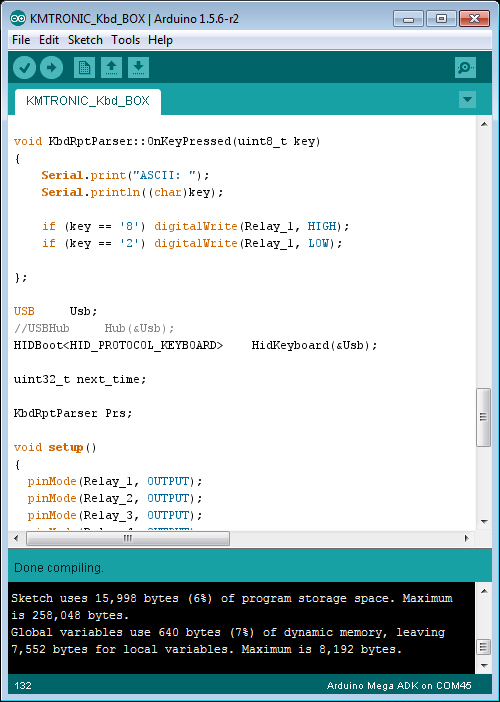 Using keyboard you can control all relays using one key, or using combinations. - When you type "1234" and ENTER this to turn ON relay 1. Using this you can make simple Door Opener. - When you press "1" board execute combination for simple automation. Turn ON relay 1, after 10 sec turn OFF and turns ON relays 2 and 3… When you press button "2" this run other combination.